Cardiac Specialist was formed back in the 1980s with a 4 doctor nucleus to provide consultative cardiology services to patients. 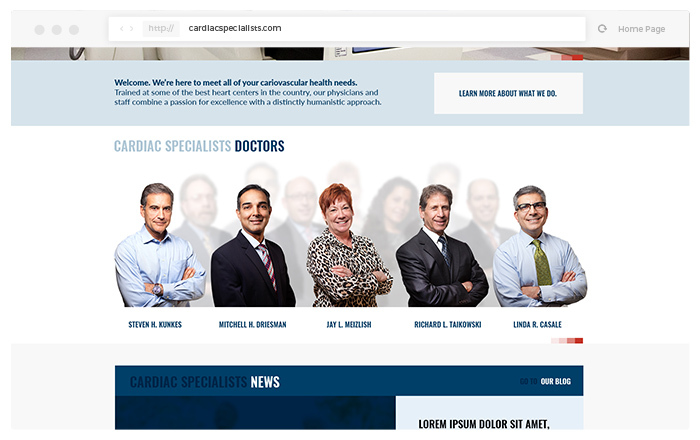 Today, with over 30 years under our belt and a superb team of specialists and physicians, Cardiac Specialists has grown to become one of the most trusted and sought after cardiovascular centers with excellence and proficiency in every area of heart and vascular health. We put our patients’ well-being first. 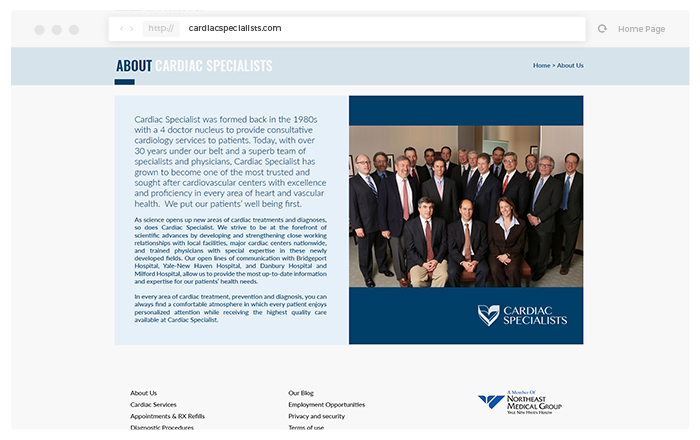 Cardiac Specialist is a trusted cardiovascular center. Today, With over 30 years experience, Cardiac Specialist focuses on providing patients the utmost quality care through their cardiovascular services. 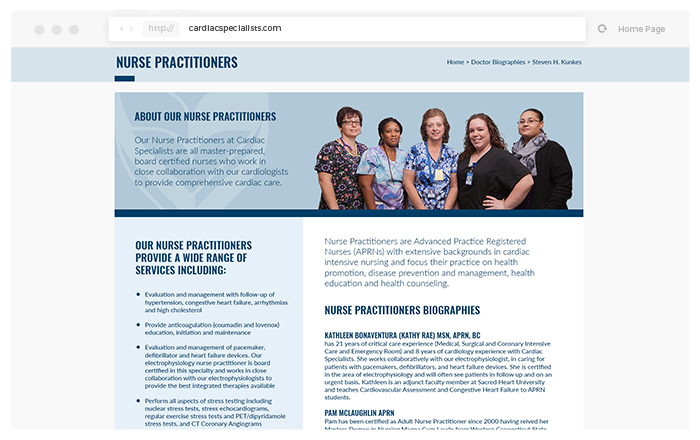 Before the practice administrator of Cardiac Specialist had reached out to us to share their vision, they lacked a website that had important features such as form fills and online scheduling, followed by a mobile experience. 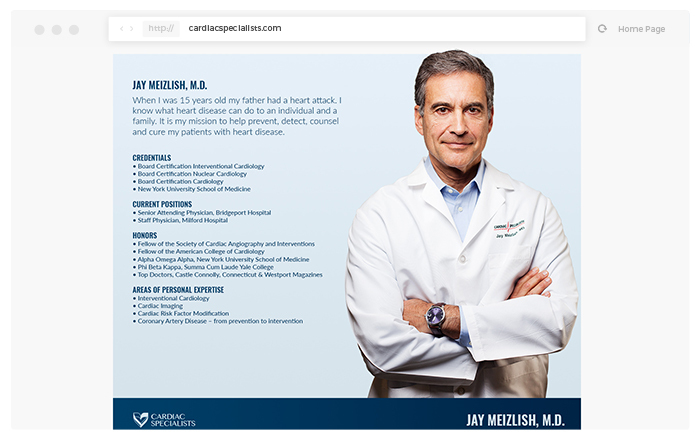 Cardiac Specialist had no way to educate the public on new discoveries and advancements and/or share stories. They also lacked a logo that suited the brand and their purpose. 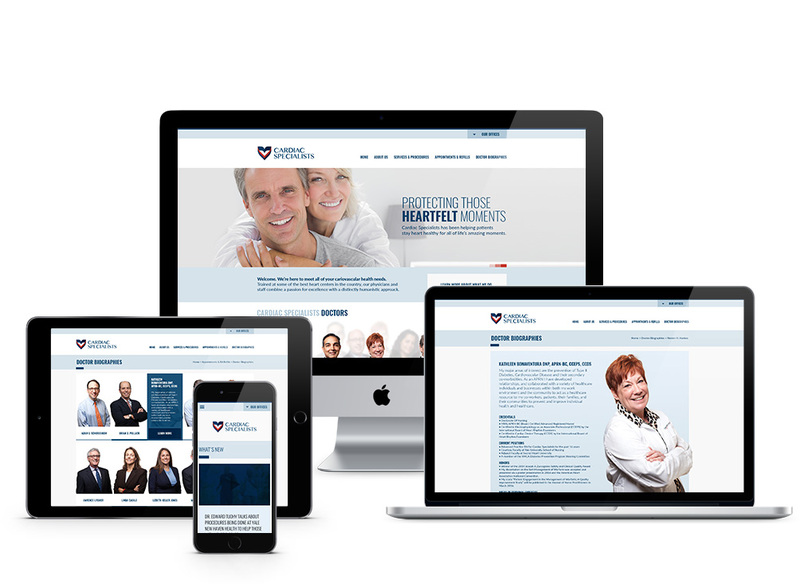 DB Collective was trusted to create a website which had the features vital for this company to progress, such as integration with a Heath Care software, form fills, and online scheduling. We also created a mobile experience, and enhanced the over all company by designing a logo that accurately fit the brand. A custom blog was even created to share stores, educate, and play audio clips of amazing discoveries and advancements. 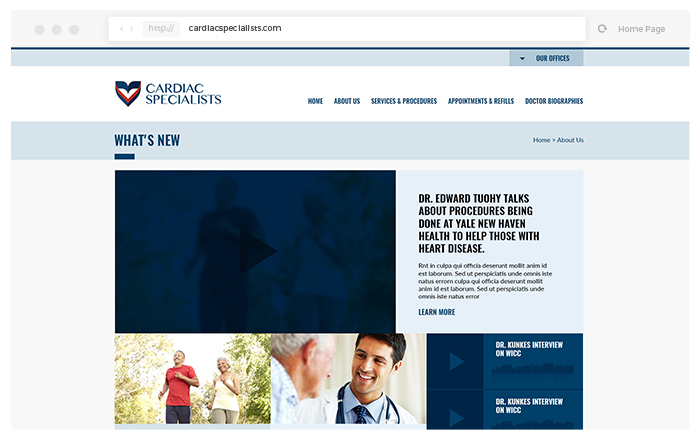 With 7 locations, and over 20 providers who are determined to help you, Cardiac Specialist gained a positive response from what we were able to do for them. They are now able to display their work on a website which has user-friendly features, they are able to share stories and educate the public through their own personal blog, and they now have a logo which perfectly represents the brand. DB Collective was even able to photograph the team with the goal to highlight their individual successes and stories. 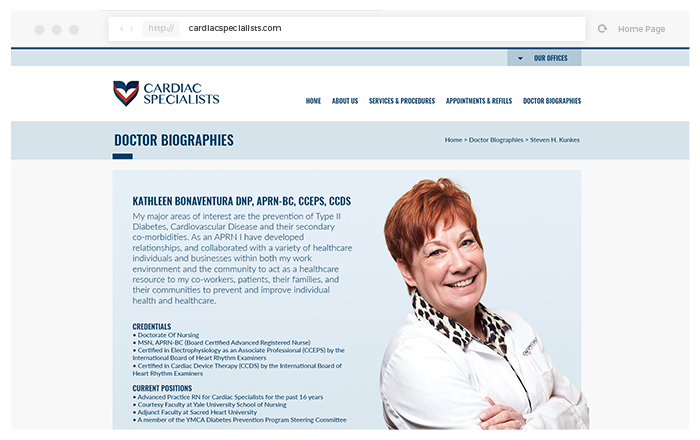 We were able to go beyond business cards and also create other forms of brand collateral for Cardiac Specialist, each one of them uniquely designed with their logo on it. 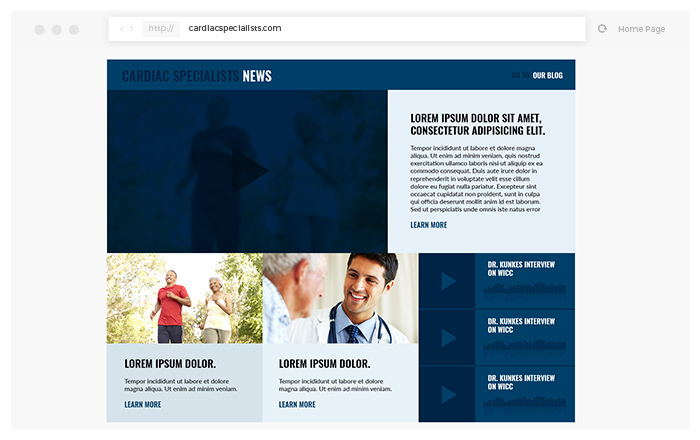 The brand collateral designed specifically for Cardiac Specialist were individually created to contribute towards the representation of the company as a whole. Each individual item was carefully designed with their logo printed on it. Each one of these individual items play a role in enhancing the sales and marketing of this company. 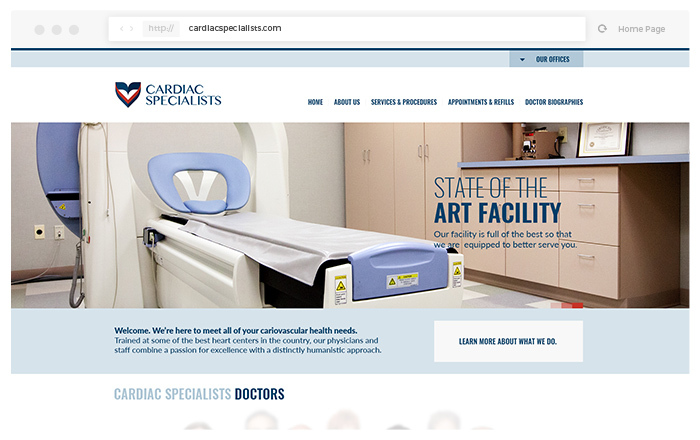 The brand collateral created for them is used as way for Cardiac Specialist to highlight the quality of their brand and services. 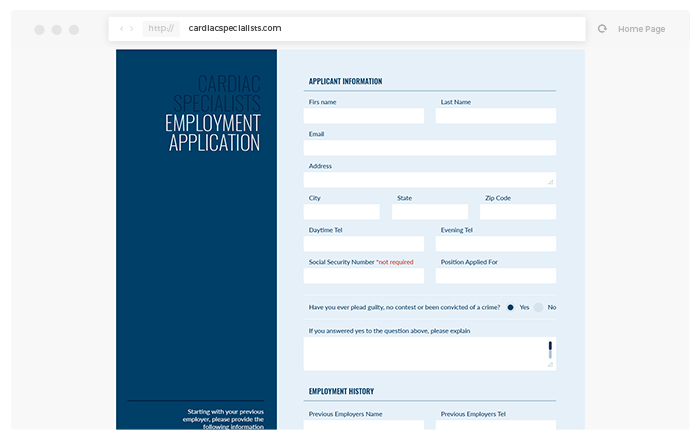 A website was created for Cardiac Specialist with multiple features which serves as a platform where this brand can generate business and direct clients to. The website we developed for this brand plays a vital role in the progression of the company and their ability to display the quality of their services. There is integration with a Health Care software, form fills, and online scheduling which all serves as a way for clients to have a user-friendly and easily accessible platform to use. A custom blog was created to share stories, educate, and play audio clips of important discoveries and advancements. We were able to professionally photograph the team and use the photos as a way to highlight the team and the company. The photos taken of the Cardiac Specialist team was a pivotal aspect in bringing attention to the dedicated individuals who are part of this company. Our goal is to ensure that you find a healthcare specialist who can meet each and every one of your cardiovascular health needs. 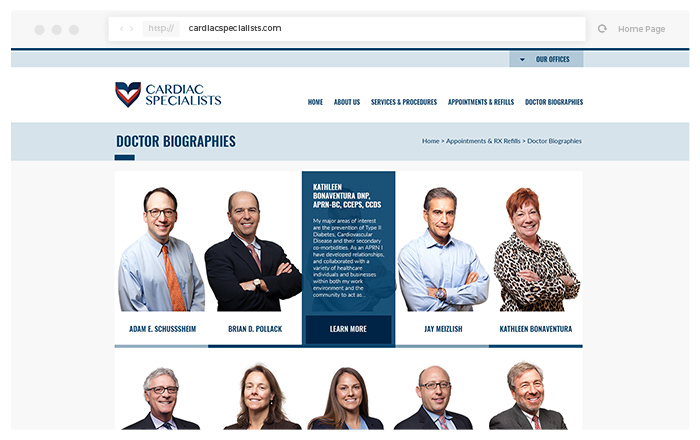 We were able to use the photos to create a more authentic and personable feel to their site, and brand as a whole.